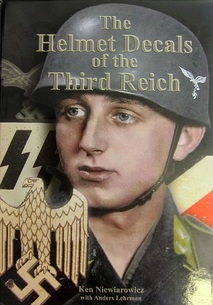 Military Hat and Helmet books Recommended by WarHats. Do you want to know where we get our inspiration and ideas from? Do you want to know how old helmets and hats should look like. Do you want to identify fake from the genuine item? Well we are pleased to say we are now recommending the following books. Each and every one of these books has been used by us in our work and for reference. We will be adding more military headwear books to this section regularly, so sign up to our newsletter! Dont miss out on new books or publications click on the button to subscribe to our newsletter.